President (then candidate) William McKinley wrote this letter to Dr. George A Zeller of Peoria on April 20, 1896. 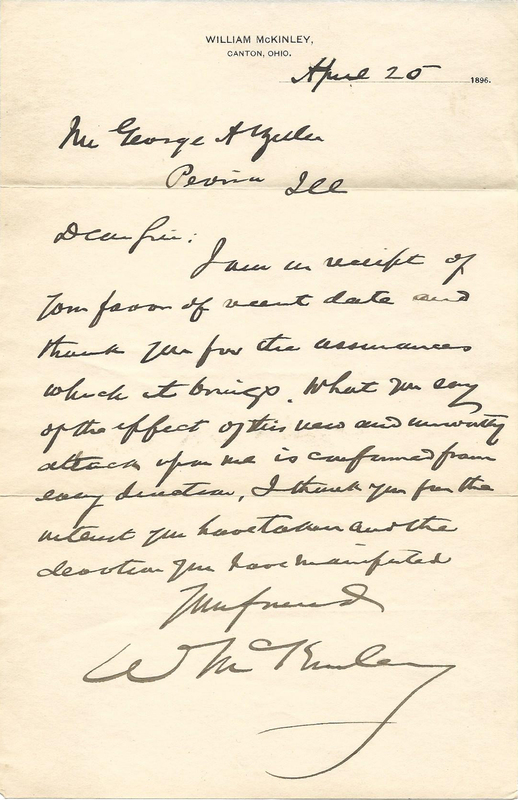 McKinley writes in response to a letter from Zeller expressing concerns about an "attack" on McKinley. McKinley acknowldeges his knowledge of the attack and thanks Zeller for his "devotion." Dr. Zeller would later run the Peoria State Hospital Museum. 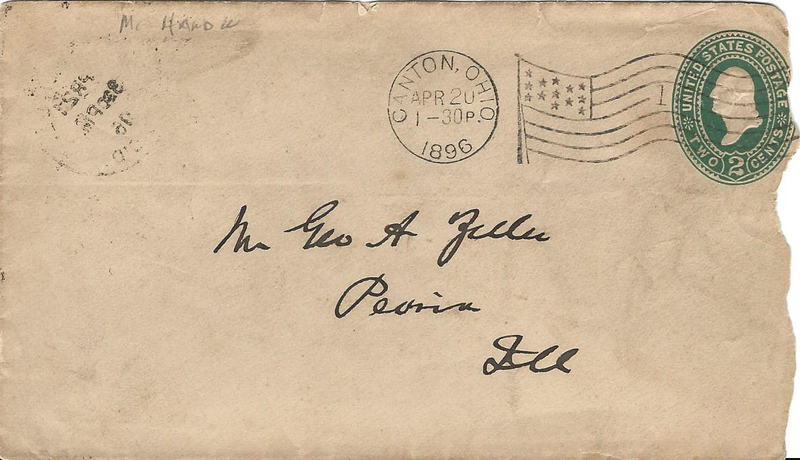 The envelope that that the letter was sent in was addressed to George A Zeller of Peoria. 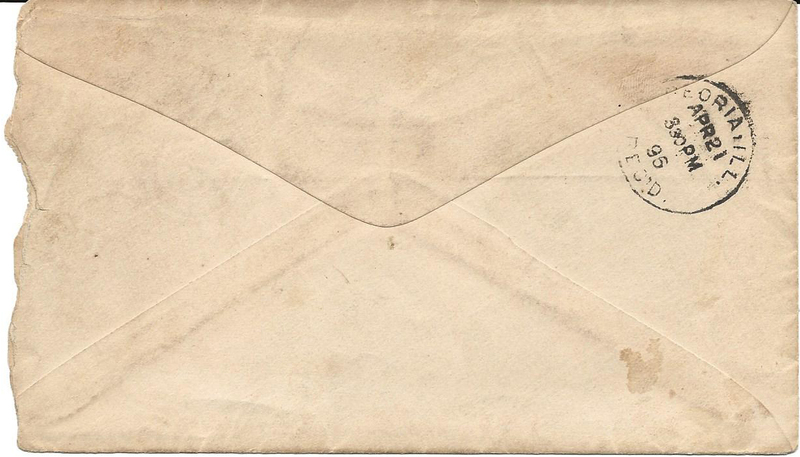 The letter was sent from Canton, Ohio. Unless otherwise noted, the contents of this site are licensed under a Creative Commons Attribution-NonCommercial-ShareAlike 4.0 International License.